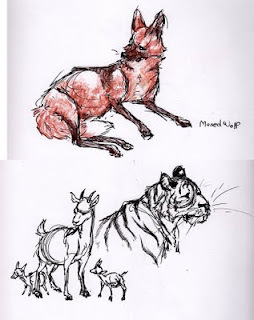 And then here are a couple of zoo drawings from this past weekend's trip. Baby markhors are adorable...they were flipping out as a zoo keeper cleaned the enclosure using their dreaded archnemesis, Mister Hose. 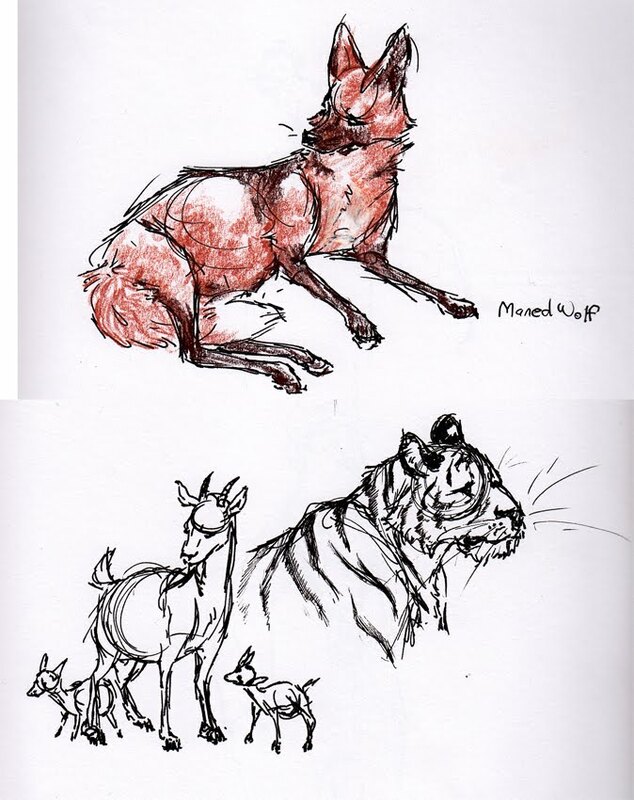 It didn't help that mom and the other Markhors(including big ol' dad) were in a state of emergency too...it only added to the hilarity.